Previously: Battle weary and bone bruised, Gina was awakened by the voice of Rhema. Zack, Gina, and B’frona slept well into the next evening, their healing wounds siphoning every dram of energy left in their bodies. Sh’renn had arisen late that morning and re-stoked the fires against the deepening Season of Wisdom, then checked a dozen times on her adopted brother and the Two Strangers. Near sundown, Gina ascended to the dream-rich state just below consciousness: Mom had sent her outside to water the flowerbeds. Just as she was beginning to spray the morning glories, she observed something mysterious flitting about. She dropped the hose and moved in closer, expecting to see flower faeries, but then watched in awe as little striped monsters with poisoned swords in their tails moved from flower to flower. She awoke, shouting, “Beezes! Beezes!” Her pleasure passed the moment she moved. Every muscle, every tendon, every cell in her body hurt. So she willed herself back into oblivion. He thought about the war he’d launched, about Bud’s arrow-pierced knee and the scorn in Sniggle and Noddie’s faces, about the hatred, the hurt, the battered children…and the light passing from Tuber’s eyes. I caused all of that. Then he remembered the kharis tea, and how it had made it possible for him to go on. And yet… I still remember. Of course, a voice inside him replied. Now what will you do? “Make it better,” he whispered. His mind flooded with images of broken bodies strewn across blood-splattered fields: pride, cruelty, and madness unleashed. It wasn’t the half-war of the naims, it was a future war, greater than any he’d ever imagined. “Make it better!” he shouted out the window, across the River Rennou, over the tops of the mighty irontrees. Thoughts: Our life purpose is often revealed to us through our failings. 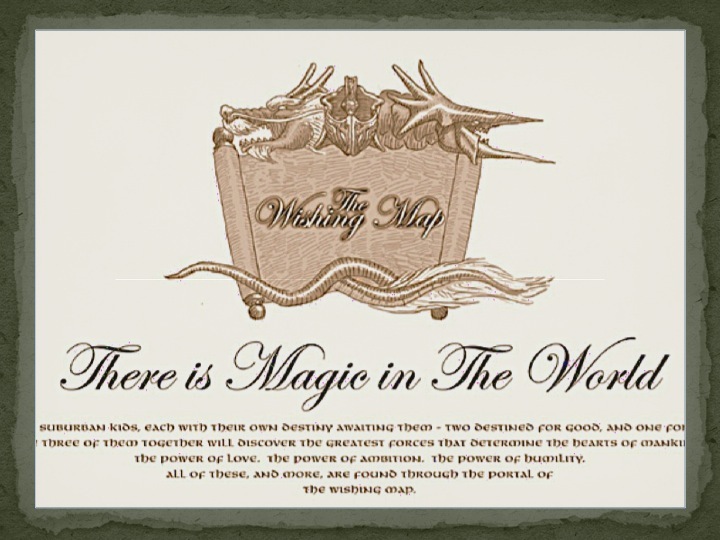 To read The Wishing Map 135 click here! This entry was posted in Culture, Story Power, The Wishing Map and tagged battle, bruised, dreams, fantasy, healing, memory, purpose. Bookmark the permalink. My life is a testimony to the truth in your “thought”. By the way, do you have a recipe for shrennel bread? Our life purpose is often revealed to us through our failings.